The foundation stone of St. Martin's was laid on Sunday, 11 November 1923, and the church was consecrated on Saturday, 21 February 1925. At that time, it was a district church within the parish of Gresford. 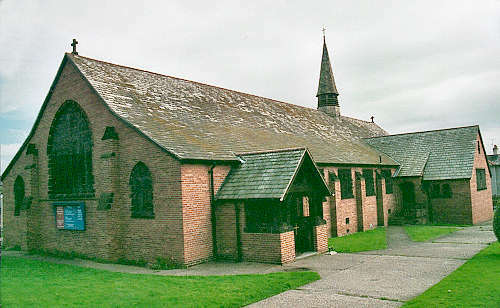 Llay became a parish of the Church in Wales on 13 December 1944. It was formed from the township of Llay, and parts of the townships of Burton, Gresford, and Marford & Hoseley, which, until then, been in the parish of Gresford. For family history information about the church and parish, visit the GenUKI Llay page.